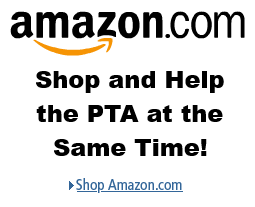 Interested in joining the PTA board? Listed below are outlines of the various board positions. If you don’t feel ready to tackle the job alone, please note that all of the PTA Board positions have at one time or another been shared by 2 people. This is a great option if you would like to help but don’t think you’ll have enough time to do it on your own. It’s also a nice way to get to know someone new or to spend more time with an old friend! If you are interested in being a part of the PTA board, or have any questions, don’t hesitate contact us at: laura@lauramackenzie.net. In addition to the duties listed below, board members are asked to attend monthly Board Meetings as well as quarterly General Meetings. Makes room reservations for PTA events and after school programs. Legislative – Communicates legislative issues to members. Meets with public officials and attends the PTA Legislative Convention. Represents members by collecting political input from members through email. Directory – Compiles all the student info into a directory that is distributed to all PTA members. Volunteer Coordinator – Schedules and recruits volunteers to help the office during various labor-intensive programs like Picture Day, Health Check-ups, etc. Welcome Committee – Contacts new families to our school, welcoming them and answering questions. At least one person, but could be up to one person per grade level. Fall Fundraiser – Manages fall fundraising campaign. Coordinates with employee match representative. Labels for Education/Box Tops – Coordinates the collection of soup labels from families to benefit our school. Reader Board – Changes the reader board message once a month. After-School Programs – Promotes after-school programs, such as Art, Lego Engineering, and Spanish. These programs are taught by either parents or independent consultants. Art Docent/Art Night – Recruits and organizes the art docent parents for each classroom. Art docents come in once a month and teach and art class to the kids using a guidebook. Back-to-School Supplies – The Back to School Supplies coordinator updates class school supply lists with teachers, coordinates supply kits with school supply company, coordinates orders from families, places order with supply company and distributes supply kits at Back-to-School Open House. Classic Book Club – Leads a group of 4th, 5th and/or 6th graders in a discussion of the classic book(s) of their choice from the many copies of books held by the PTA. Book club can be scheduled to fit the Chairperson’s schedule; typically the club has run for 4-6 weeks, meeting one time per week over the students’ lunch period during the first quarter of the calendar year (Jan/Feb/March). Books, appropriate discussion points and training are available. The Book Club Chairperson (or Chairpeople) will set up the program, advertise it to the appropriate grade levels and lead it according to the planned schedule. Community Service – Organizes various programs throughout the year to support the less advantaged outside of the school, such as a toy drive during the holidays, and a coin drive for the summer food bank. Usually a committee of 2 or 3 people. Disaster Preparedness – Assists the School Nurse with inventorying and stocking the school disaster container, preparing a budget request with nurse for needed supplies, and attends NSPTA council Disaster Preparedness committee meetings for emergency protocols. Friendly Fridays – Develops fully integrated team building activities for students grades 3-6 through the Friendly Fridays program. Selects and mentors 6th grade captains in the areas of leadership, team management, and individual empathy. Coordinates, coaches, and supervises bi-monthly Friendly Friday team building events. Library – Recruits library volunteers, who work in the library on a scheduled basis (1x/week, 1x/month, etc.) throughout the year. Sets a schedule with the librarians. Library Book Fairs – Works with librarian to recruit volunteers for the fall and spring book fairs. Our week-long book fairs are another favorite and help raise money for the library. Math Olympiad – Coordinates teams in 5th and 6th grades for math competitions, and organizes volunteers to hold practices before or after school for several months leading up to the competitions. Playground – Recruits parents and manages schedule for playground volunteers. These volunteers help out during recesses, keeping an eye on activities to insure fair and safe play. Reflections – Coordinates the National PTA Reflections program in our school, distributing registration forms, promoting the program and annual theme, finding judges to select projects that go on to the District for further competition. Organizing recognition for the participants. School Play – Coordinates the Studio East production at the school each fall. Chair holds organizational meetings in the fall to kick off the program, and then general overseeing until the final productions, typically in early November. Back-to-School Social – Works with the PTA Executive Board to plan the Back-to-School Social. This event is held on the first day of school each year, and is a forum for parents to join the PTA, learn about and sign up for committees, and to meet and mingle with other parents. Back-to-School Event (Fall Fiesta) – Begins planning in the spring prior to the event. Recruits and organizes volunteers. This event counts on dozens of volunteers to help sell tickets, set-up, man booths, etc. It couldn’t happen without volunteers! Winter Event (Bingo) – Recruits and organizes volunteers to help with set-up, prize donation, ticket sales, announcing, and clean-up of Bingo Night. This event has a big turnout! There are prizes to be won for everyone and teachers and parents alike participate. Dance – Recruits and organizes volunteers for the school dance. These volunteers coordinate the event by selling tickets in advance and setting up and decorating the gym in preparation for the dance. Skate Night – We have two “skate nights” just for Sunrise students at Skate King each year. The chair advertises the event to the school, and is at the event to help collect money and coordinate the event. Teacher Appreciation – Coordinates volunteers, offering support where needed, and plans and coordinates the December and May activities with volunteers. Volunteers (2-3 people per grade level) help plan and recruit parents to sponsor a lunch each month to express appreciation for the job the teachers do. Each month is sponsored by a grade level, with the December lunch and the May Teacher Appreciation Week hosted by the committee as a whole. How Can I Contribute to the Sunrise PTA? If you'd like to donate to help fund the activities of the Sunrise Elementary PTA, you can do so right here using PayPal. © 2019 Sunrise PTA. All Rights Reserved. Questions or Comments on this website? Let us know!